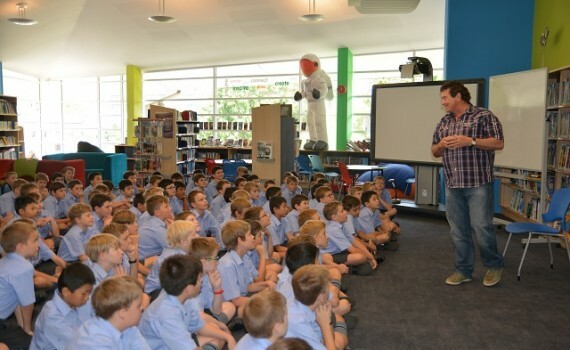 This week the Year 5 students were treated to a performance by visiting poet Marco Gliori in the Middle School Library. This event was a special introduction to the poetry unit they will be doing this term in English. Marco has been to the school many times and this most recent performance did not fail to impress. He has a great repertoire of his own poems many of which require audience involvement. He also created poems on the spot for the boys which they thoroughly enjoyed. 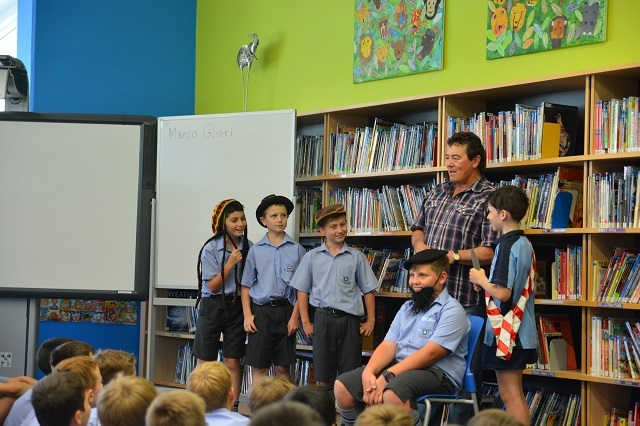 A number of boys were involved in acting out The Man from Ironbark which was very entertaining and highlighted the importance of bringing poetry to life by speaking it out loud or acting it out, not simply reading it from the page. The boys left eager to begin their own poetry journeys.